The Auspicious day of Rath Yatra, Ashadh Sud 2, brings more importance for the Gurukul Parivar as it is the birthday of Param Pujya Shastriji Maharaj Shree Dharmajivandasji Swami, the founder of Gurukul tradition. 06 July 2016 was the 115th birthday of Pujya Shastriji Maharaj. As per the tradition, Gurukul Parivar celebrated this day with extra Bhajan, Dhoon & Mantra Lekhan. It was followed by the assembly in the memory of Pujya Shastriji Maharaj in the morning at Gurukul Ahmedabad. Secondly, the day is famous for the Rath Yatra of Bhagwan Jagannath at Jagannath Puri. 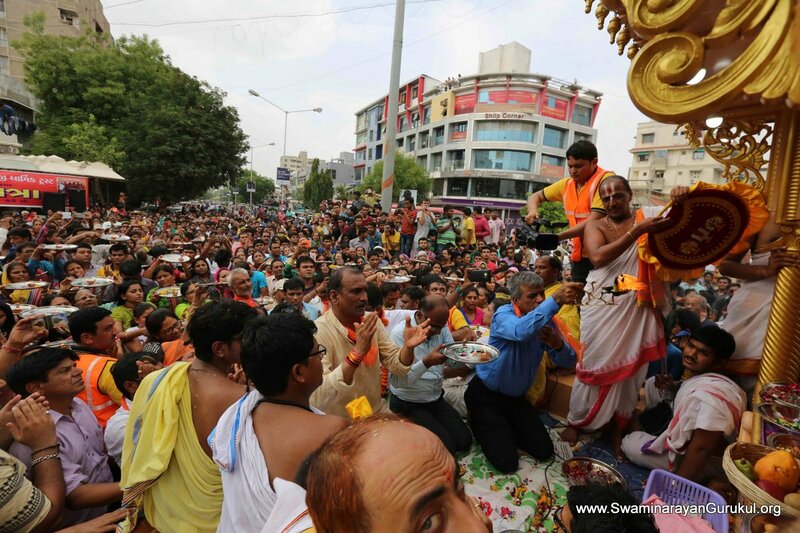 Across India and abroad too, at many places devotees celebrate the Rath Yatra. 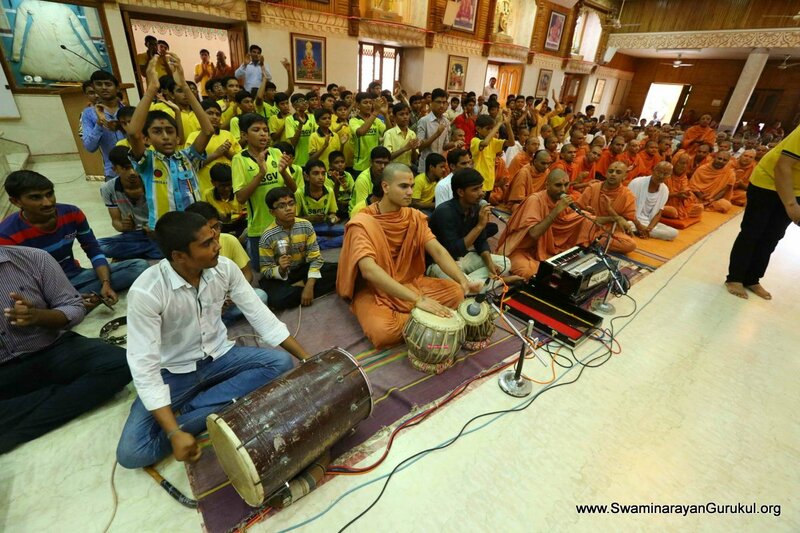 Since last many years, Gurukul Ahmedabad organizes the marvelous Rath Yatra by the inspiration of Sadguruvarya Shastri Shree Madhavpriyadasji Swami and under the guidance of Pujya Purani Shree Balkrishnadasji Swami. This year too, thousands of devotees participated and graced with Darshan of Bhagwan Jagannath. Several organizations and social groups also supported and welcomed the Rath Yatra at various places. 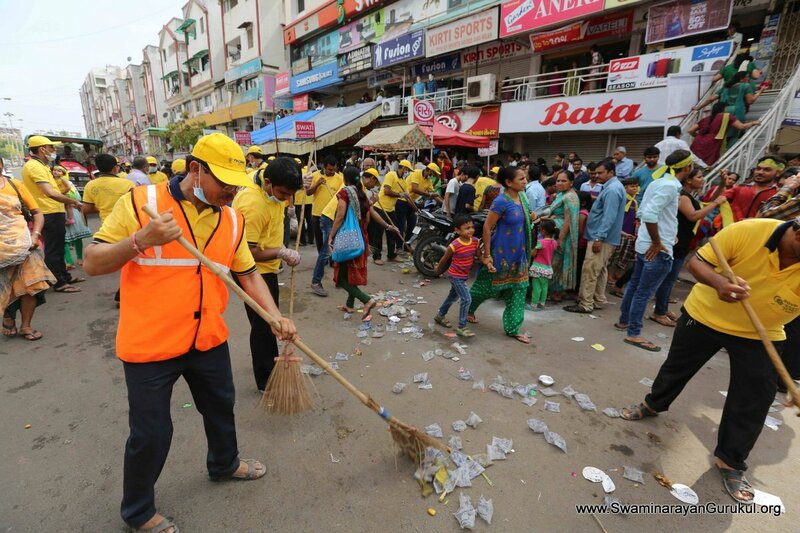 Moreover, Volunteers of Gurukul Parivar cleaned the entire route just behind the Rath Yatra and made it free from garbage of plastic pouches, bags, empty food packets, wrappers and other wastes.